Popular folklore says that the sighting of a red cardinal means an angel is near, a remembrance of a loved one who has passed. Celebrate the joy of loved ones near and the memories of those gone before with this beautiful Christmas tree ornament. 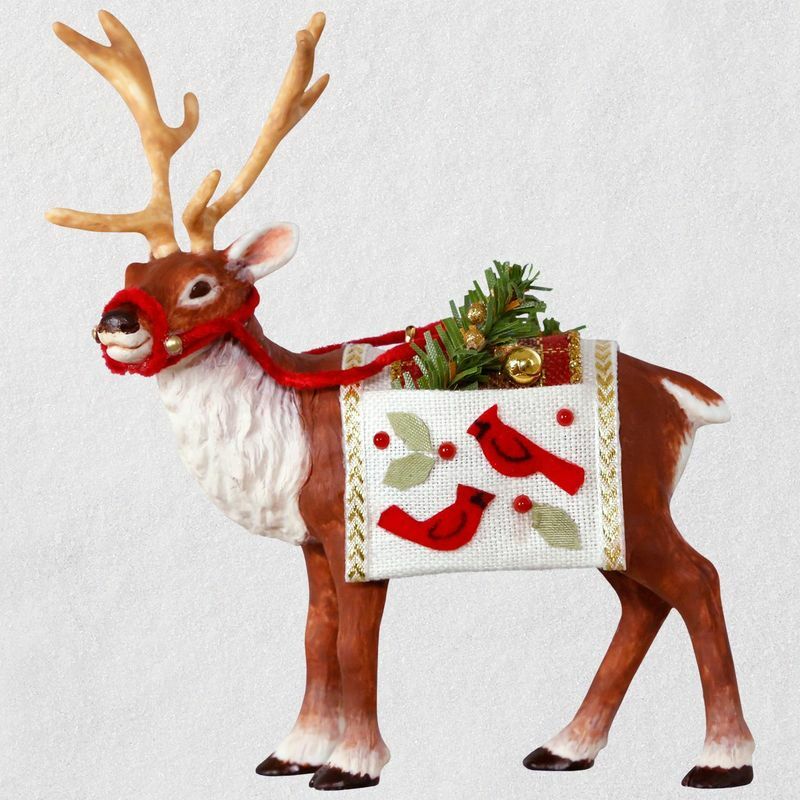 The lifelike reindeer carries an ornate fabric saddle decorated with red birds, ribbon and greens. Coordinating 2018 Father Christmas ornament sold separately. 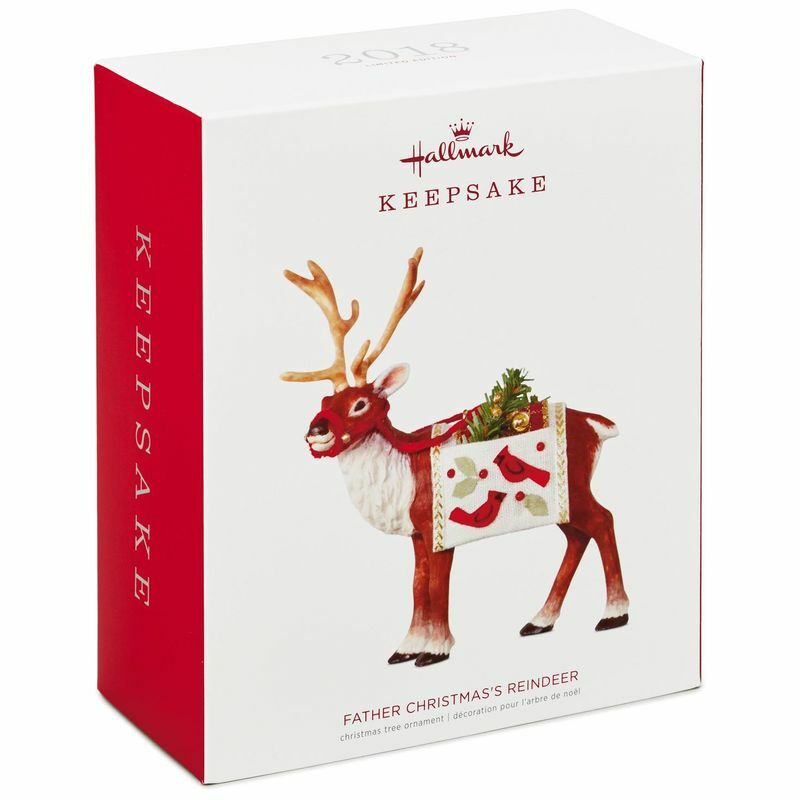 Measures 4.64" W x 5.27" H x 2" D.
The Father Christmas ornament for 2018 is gorgeous all on its own. 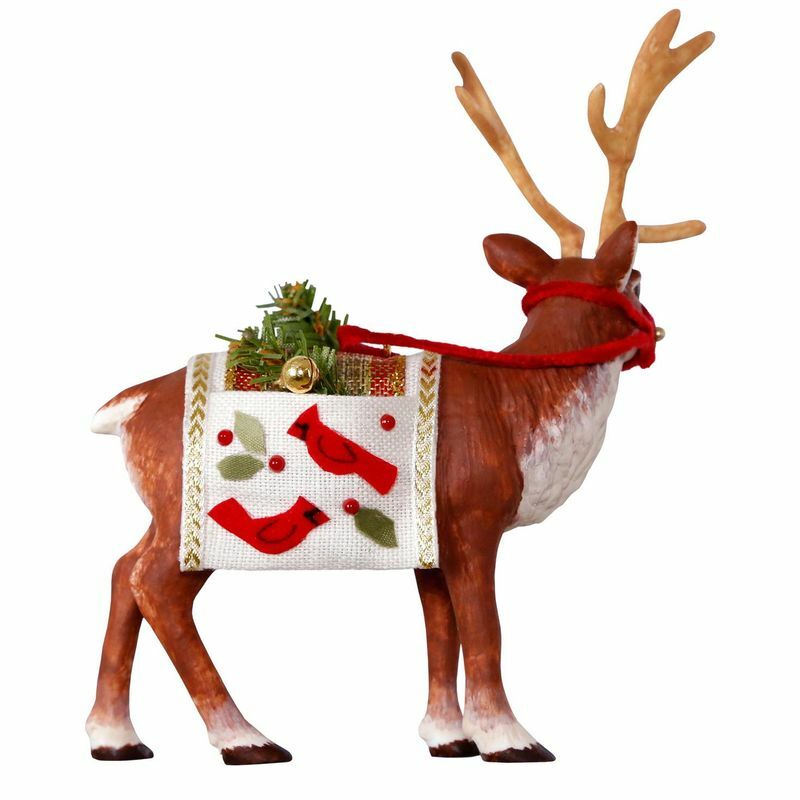 But, the reindeer accessory that was sold at Ornament Premiere was just as beautiful and complements the main ornament well. I hang these near their corresponding Father Christmas on my tree. I am thrilled that I could obtain this beauty since I missed out on it at the Premiere. Beautiful is all i can say. Cannot wait to decorate. I purchased prior years and very happy with purchase.